Over the years, Dayton has expanded its economic base from acting as a hub for manufacturing and aerospace development to include hospitals and health care research, educational institutions, and telecommunications and media companies. In each industry, despite rigorous safety requirements, these workplaces carry the risk of on-the-job injury or death. In Ohio, 164 people died because of work accidents in 2016. The Ohio Bureau of Workers’ Compensation (BWC) has stated that in 2016, 59,200 recordable incidents in its Occupational Injuries and Illnesses report required one or more days away from work or a transfer/restriction in terms of job duties. As helpful as workers’ compensation can be, applying for benefits can be confusing. The process is far from straightforward and claims are denied for a variety of reasons. Moreover, there are wage-based limits on the amount of money you can receive through workers’ compensation. Your injuries may be so severe that this amount doesn’t even begin to cover what you will need for rehabilitation and ongoing care. For decades, the Dayton offices of Elk & Elk have provided representation in accident injury cases, including workers’ compensation. We routinely monitor legal developments in this area of the law and will fight hard for the funds you need to get back on your feet or adjust to a new “normal” if your workplace injury leaves you unable to pursue your previous profession. If you are injured at work, seek medical attention before you do anything else. You can visit an emergency room at a facility in Dayton such as Kettering Memorial Hospital if you have a severe injury or visit a medical provider who has been certified by the BWC. After you have received treatment for your injuries, let your employer know about the incident. Although you or your employer has up to 12 months after the date of injury to file a First Report Of Injury (FROI), it is best to file the FROI documentation as soon as possible to avoid a claim denial. You may also want to check if the medical provider who treated your injuries submitted FROI documents on your behalf. The BWC will accept FROI reports from injured employees and their employers, as well as their authorized representatives or designees. Managed care organizations can also file the reports, as can individual medical providers. 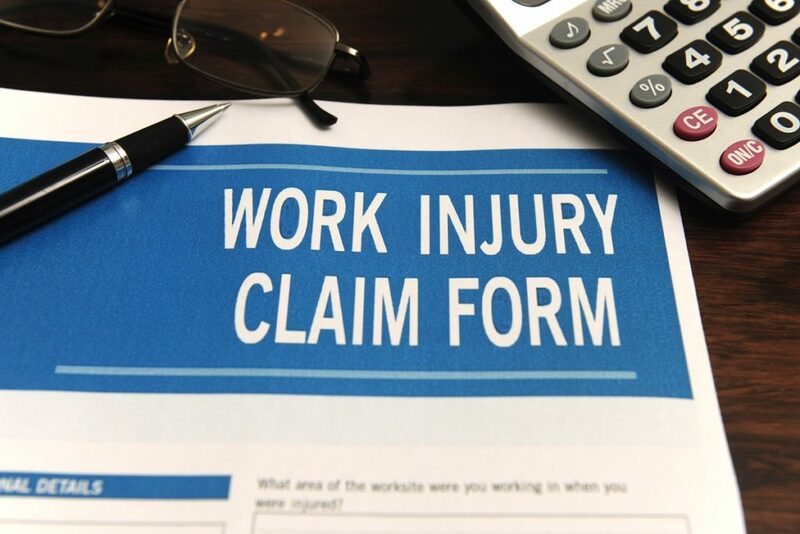 To receive benefits, you must document that you are an employee of the named employer, that the injury was accidental, and that it occurred in the course of your employment. After the FROI is filed, the BWC has 28 days to approve or deny the claim. If the claim is approved, you will receive compensation based on the extent of your injuries and your earnings prior to the accident. Even if you file your workers’ compensation paperwork in a timely manner, approval is not guaranteed. You did not seek medical attention immediately after the injury. Your injury did not occur at your workplace. There is doubt about whether your injury occurred as a result of your employment with the company. Your injuries are not considered serious enough to warrant compensation. Your employer is disputing some aspect of your claim. BWC appeals are heard at three administrative levels – district, staff and commission. If all three appeals are rejected, the claim can be appealed to the Court of Common Pleas in the county where you were injured. If the claim is rejected at that level, you may appeal to have the matter settled in a jury trial. If your claim has been denied, our firm’s lawyers can represent you at each stage of the appeals process. Their skill and experience in this area provide a worthy match against the attorneys representing the workers’ compensation insurance company of your employer. We will examine your claim, interview witnesses and conduct other research to present the most compelling appeal possible. If your employer’s insurer for workers’ compensation appears willing to negotiate, we will attempt to develop a settlement package. After your workers’ compensation claim is approved, you may still be struggling to regain your health, pay your household bills and return your life to some semblance of the way it used to be. Because workers’ compensation payments are typically based on your previous income and time limits for receiving the benefits apply, you may not be able to get back to work before the payments end. Some accidents may have had multiple contributing factors, which opens up the possibility of a third-party claim. You were working on a joint project with employees of another company, and that company did not provide proper safety training or protective equipment before your injury. You were driving somewhere related to your work duties and were hit by a drunk driver who was operating a commercial vehicle. You were working on someone else’s property as a contractor and were injured as the result of a known danger there. Additionally, you may be able to file a product liability lawsuit if your work accident was caused by a manufacturer’s defect in a tool, piece of furniture, building feature or other element used in your work. A final advantage of filing a third-party claim is that you may ask for noneconomic damages such as pain and suffering, mental anguish and worsening of prior injuries. These damages, if prepared and presented in litigation by a talented personal injury lawyer, may provide substantial compensation to support your recovery and your future financial well-being. Injuries that happen at work threaten your ability to provide for yourself and your loved ones. Elk & Elk will fight for you so you are paid the workers’ compensation benefits to which you are entitled and you are provided with the medical rehabilitation you need. Our attorneys represent clients in Dayton and throughout Ohio. Do not wait any longer to file your workers’ comp claim – get started today by calling us at 1-800-ELK-OHIO or email our firm.